Gerbera Daisy Diaries: Read A Banned Book! Celebrate the freedom to read during Banned Books Week Monday, September 28 through Sunday, October 4 at your local library. Since 2001, American libraries have had more than 3,700 challenges requesting that materials be removed from circulation. 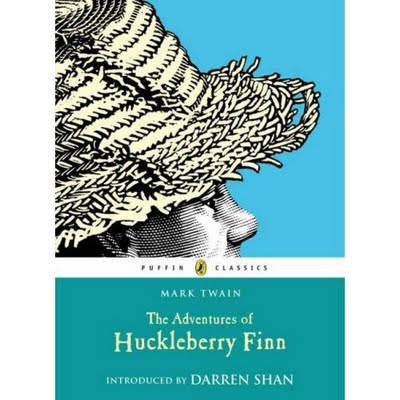 Some of the most challenged books include The Catcher in the Rye, The Adventures of Huckleberry Finn, I Know Why the Caged Bird Sings, and the Harry Potter series. Other classics which have been challenged include The Great Gatsby, The Grapes of Wrath, To Kill a Mockingbird, The Color Purple, Brave New World and Gone with the Wind. Children's books are not immune to challenges as patrons have sought to remove fables such as Winnie-the-Pooh and Charlotte's Web from library collections. A challenge is an attempt to remove or restrict materials, based upon the objections of a person or group. Challenges do not simply involve a person expressing a point of view; rather, they are an attempt to remove material from the curriculum or library, thereby restricting the access of others. Although they were the targets of attempted bannings, most of the books featured during Banned Books Week were not banned, thanks to the efforts of librarians to maintain them in the collections. Imagine how many more books might be challenged—and possibly banned or restricted—if librarians, teachers,and booksellers across the country did not use Banned Books Week each year to teach the importance of the power of literature, and to draw attention to the danger that exists when restraints are imposed on the availability of information in a free society. Banned Books Week is sponsored by the American Booksellers Association, American Booksellers Foundation for Free Expression, the American Library Association, American Society of Journalists and Authors, Association of American Publishers, and the National Association of College Stores. It is endorsed by the Center for the Book in the Library of Congress. I love reading banned books. It makes me feel so rebellious! But does this mean I have to read Catcher in the Rye? I've heard it's wretched. Of course, I just read The Land of Mango Sunsets, which makes Twilight look like Shakespeare. Oh how I wish I was joking. Sometimes it amazes me, the crap that gets published. Glad everybody is feeling better. I totally miss you on FB. Wow, is all I can say. I hate that people try and limit what others can read. If they don't want to read it then don't but I think it is wrong to limit others from being able to.